Craft beer involves special brewing techniques for enhancing the quality and flavor. HYDERABAD, TELANGANA, INDIA, November 2, 2018 /EINPresswire.com/ — Craft beers are different type of beers that are manufactured by small breweries using traditional techniques and are rich in quality and flavour compared to the typical beers. The breweries that create this beer are generally small, self-owned and existing for a long time. This technique was originated back in the 1960s and 70s when the regional breweries are merging and some are at the verge of closing. 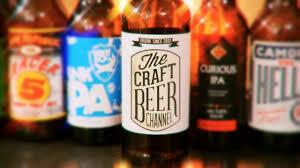 The Global Craft Beer Market was valued at USD 125.07 billion in 2018, which is expected to cross USD 328.44 billion by the end of 2023, with an increasing CAGR of 21.3%. Alcohol consumption has increased to new heights in recent times with the improving lifestyles of the people in the developed and developed countries. The growing demand for new and innovative types of alcoholic beverages with enriched quality and taste around the world is expected to be the key driver behind the growth of the craft beer market. Additionally, increasing preference for flavoured beers, rising customer awareness about the availability of different types of products, growth in the disposable income of the people, and increasing consumption of alcohol in different economies of the globe are also accelerating the market expansion. However, the high prices of craft beers, requirement of huge quantity of fresh water and the concerns related to health are some of the prominent factors hampering the expansion of the global craft beer market. The complete report for the global craft beer market provides all the data essential for the decision making and investing opportunities based on the market size, revenue, history, current trends, and future predictions. It also provides the deep sights of the global market based on the production, segments, distribution, and regional analysis, along with the competitive landscape. On the basis of production, the global market is categorized as amber ale, amber lager, IPA (Indian pale ale) and other styles. The increasing number of new alcohol brand in the market helps create a healthy competitive environment in the global market. Because of the widely diverse array of tastes in it, the Indian Pale Ale (IPA) segment contributed the biggest share to the global market in 2016. On the basis of segments, the market is segmented into brewpubs, microbreweries, regional craft breweries, and contract breweries. The establishment of regional craft breweries is encouraged by the increased spending of customers on craft beer annually. In the forecast time period, the regional craft breweries are predicted to have the highest growth rate among all the segments. On the basis of distribution, the global market is categorized into On-trade and off-trade segments. Comparatively, the on-trade segment includes pubs, bars, and such high-end distribution centre. This results in its high projected growth because of developed and rich countries. On the other hand, the off-trade segment is forecast to witness good growth in emerging and developing countries. On the basis of regional analysis, the market is studied in the regions of North America, Latin America, Europe, Asia Pacific and Middle East & Africa. Owing to the increasing preference toward flavoured beer over conventional beer in the region, the Europe market possessed the biggest share in the global craft beer market. Whereas, the Middle East & Africa region is predicted to portray the highest CAGR over the forecast period. The increasing consumption of alcohol coupled with the raising income in the emerging economies of India, China and Japan are expected to fuel the market growth in the Asia Pacific region. The full report also offers an in-depth analysis of the competitive landscape of the craft beer market around the world. The top players in the Global Craft Beer market are Chimay Beers and Cheeses, Sierra Nevada Brewing Company, D.G. Yuengling and Son, The Boston Beer Company, The Gambrinus Company, Lagunitas Brewing Company and Stone & Wood Brewing Co.